Smooth Sailing progeny are becoming the most talked about calves in the country. 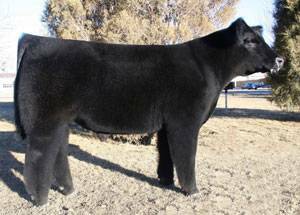 His dam, Miss Perfection, was a many-time Champion Market Heifer for Kroupa. Smooth Sailing is one of the tightest necked, longest fronted Heat Wave sons you'll find.